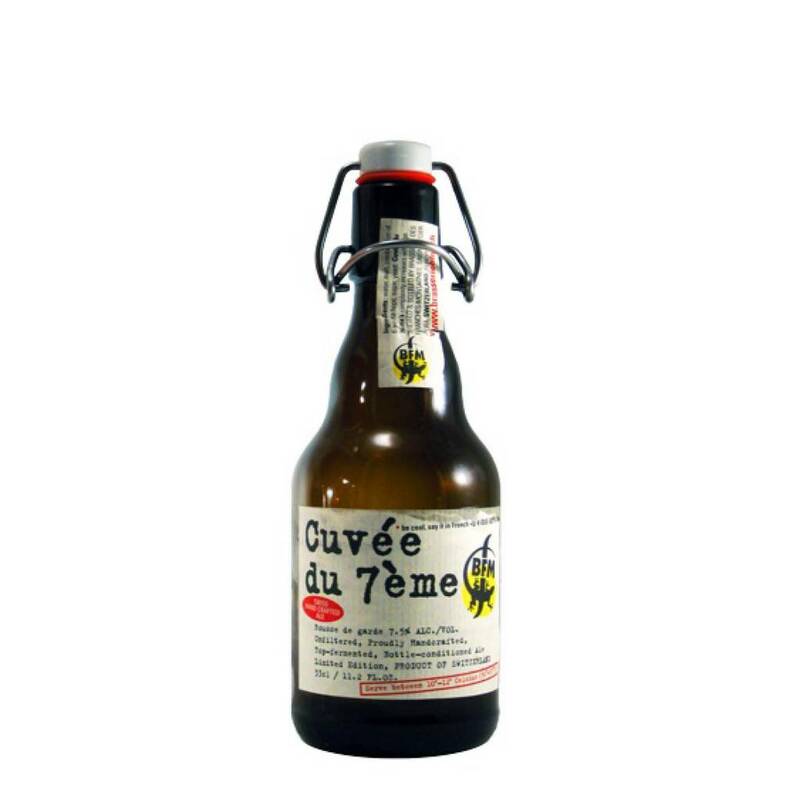 "This amazing beer was created the day we commemorated the 7th anniversary of the Brasserie des Franches-Montagnes. 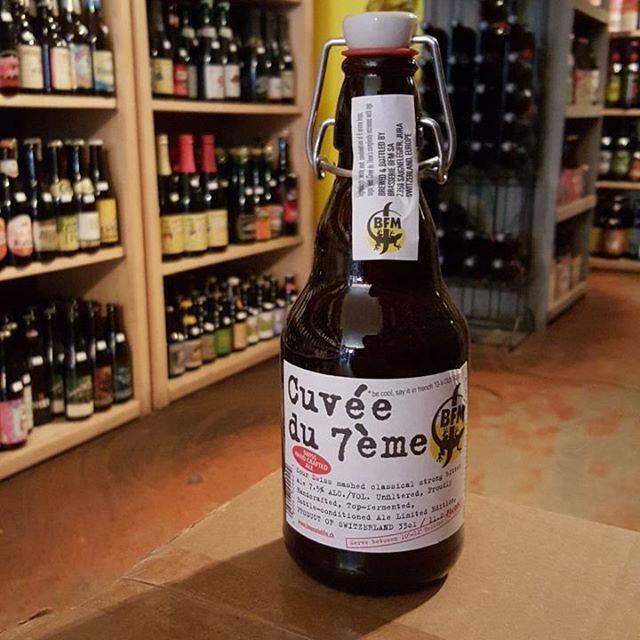 The opening days, held every year on the first Saturday of November, are the opportunity for the brewer to devise a new recipe. This one-off impressed B. United International Inc.'s boss so much that he asked for it to be brewed again just for you lot across the Pond. 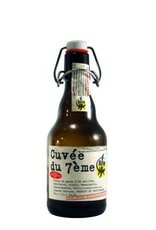 It is brewed using a combination of 6 aroma hop varieties, which give it a moderate bitterness and a complex bouquet evolving over time. 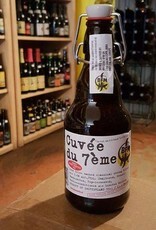 Yes, because Cuvee Du 7eme will improve over time, should you stash it away in a cellar."